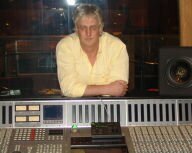 My name is Tom Pearce and I am a music industry veteran with over 40 years experience in the technical and business sides of the industry. Over the years I have worked with many of the worlds top artists, including Elton John, George Harrison, Eric Clapton and Jeff Beck among others. Now I can bring that experience to your project whether it is a self release or discussions with a label or publisher or simply that you need a little support getting your career off the ground! Whether you are an established artist, a composer, producer or technician you will always need an objective, unbiased and, above all, experienced friend by your side to advise you with contracts, publishing, distribution, promotion and marketing or simply just to answer questions as they arise. I offer a range of solutions, from a simple one-off consultancy through to monthly support plans to help get your career or your business moving. I can bring over 40 years of industry experience to your project, your career or your business.